The refinery, which is currently under construction around 200 km south of Hanoi in the Tinh Gia district, is due to start operating in 2017. The pumps will be used in crude oil distillation and aromatic compounds production. Depending on the fluid to be handled, the casings will be made of either steel or stainless steel. Impellers, shafts and casing wear rings will be manufactured from corrosion-resistant stainless steels. 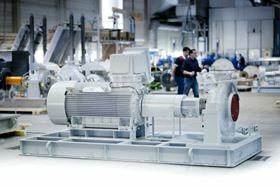 The pump sets will start to be shipped from KSB’s Pegnitz production plant in Germany early next year. KSB says that the order represents an important step in a very promising market.